X-plore is dual-pane file manager with tree view, LAN, FTP, Root and more. X-plore is more popular on Symbian platform. They have come up with the x-plore 2.45 for Android, lets took a brief look at it. The most amazing feature i found on this app is Access to FTP and FTPS (secure FTP) servers . All standard file operations can be done on FTP server. 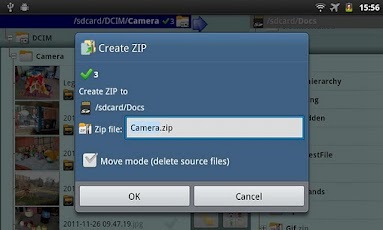 X-plore can display shared folders on other computers in LAN .